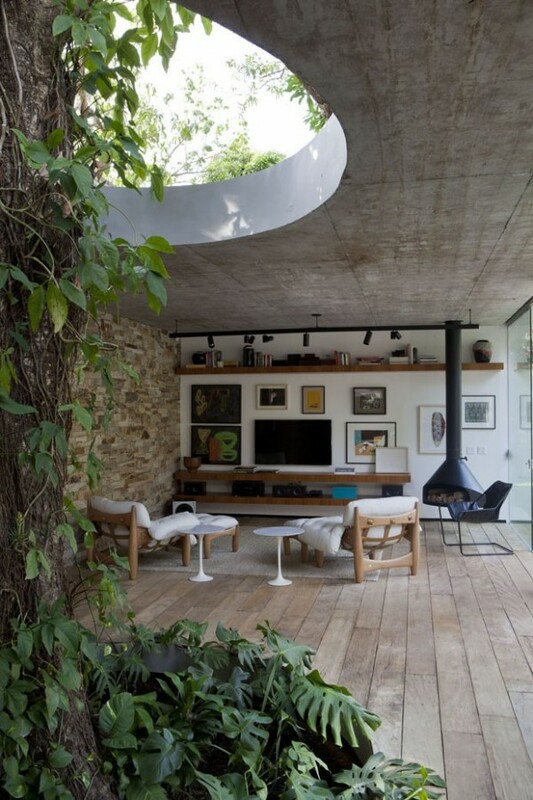 To create a home that blends into the natural beauty surrounding it is a challenge in itself. 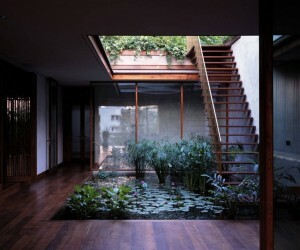 But to build a home that actually incorporates nature - not just in its colors and textures, but it its actual plants - is truly a feat. 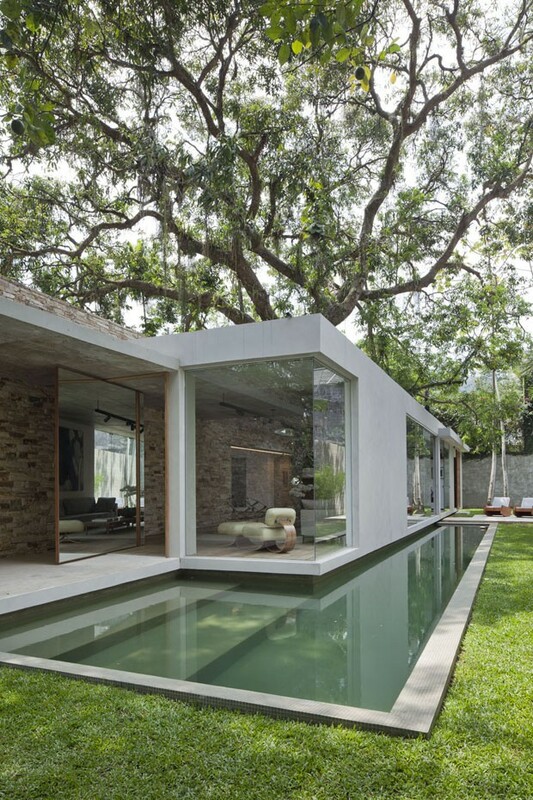 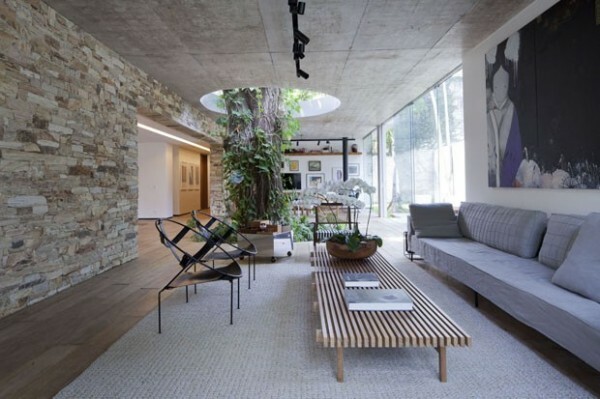 This residence in Brazil, covered by Casa Vogue and built by architect Alessandro Sartore, manages to do just that by allowing trees that were already growing on the plot of land to continue up and through the new structure. 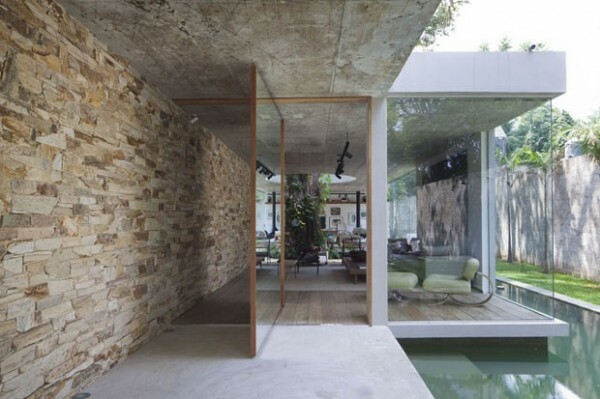 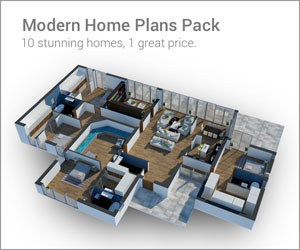 The results are a house that is certainly modern in its design, but also unique and deeply personal. 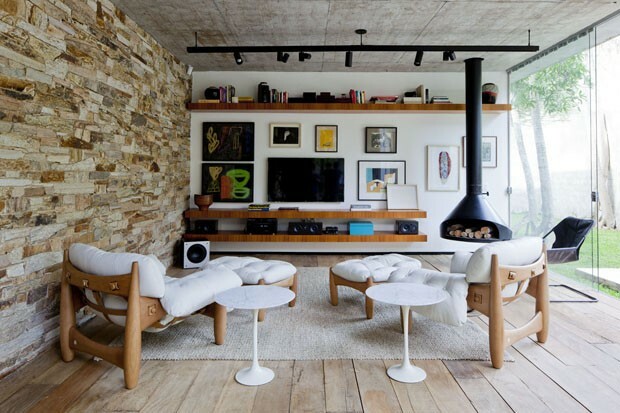 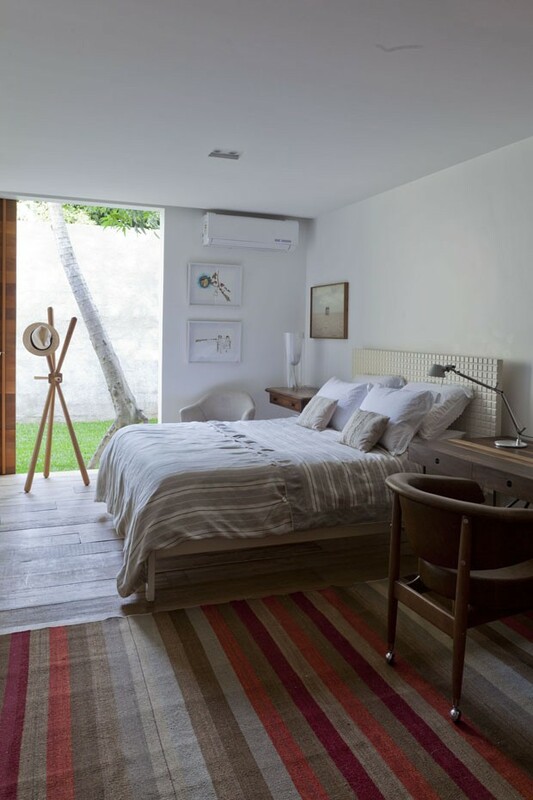 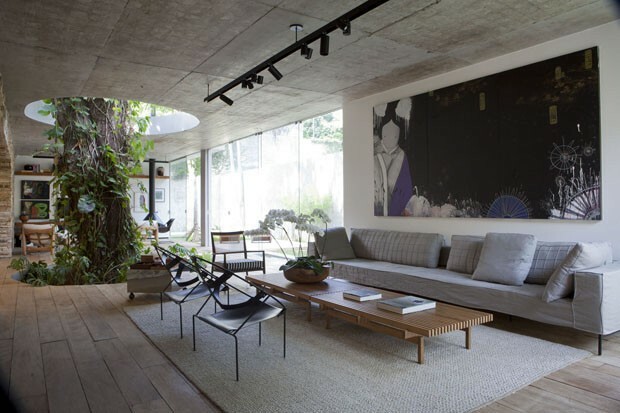 The house was created for dentist and art collector Rodrigo Quadrado, a native of Rio de Janeiro, Brazil. 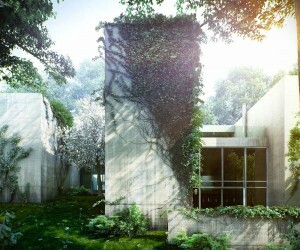 When first discussing the undertaking with his architect, he specified that he did not want a house “that had a showroom face.” Despite a thorough appreciation of design and a desire for a beautiful space for his family, he wanted to the warmth and personality of a family home before the splendor of a magazine cover. 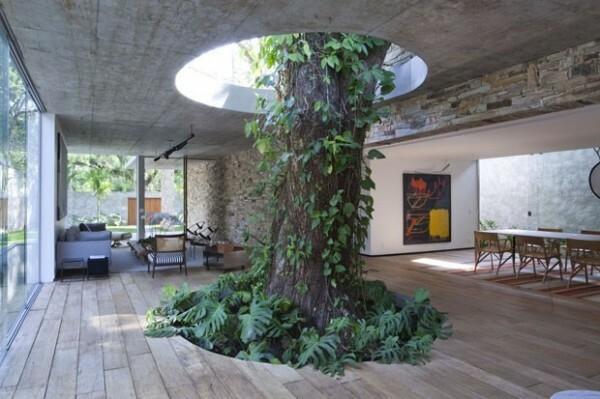 The large, leafy mango tree that grows up through the middle of the main living area has been named “Bethany” and comes up through a hole in the slab of the floor that is 3 meters in diameter. The tree is not just a clever design element, it influenced how the entire house was arranged, allowing it to provide air, shade, and a sense of flow through the difference living spaces. In order to accommodate Bethany as well as another tree in the garage, the architects decided to forgo air conditioning. 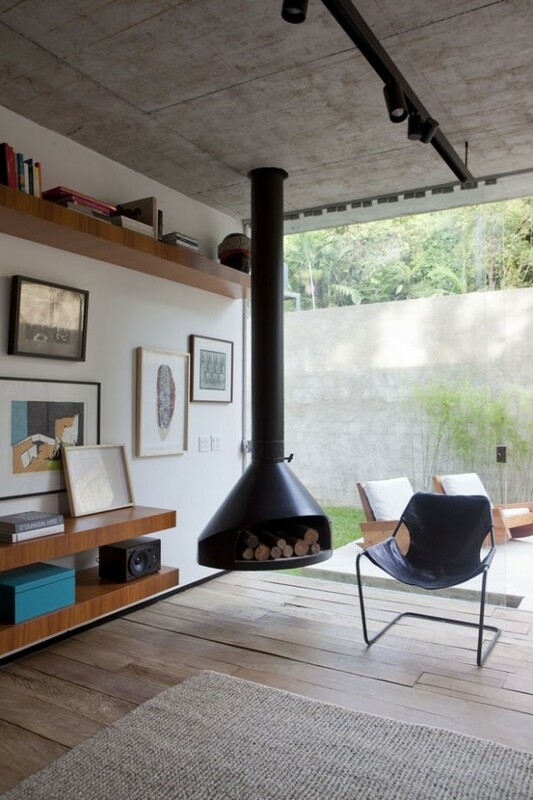 In the heat of a Brazilian summer, this was certainly a bold choice. 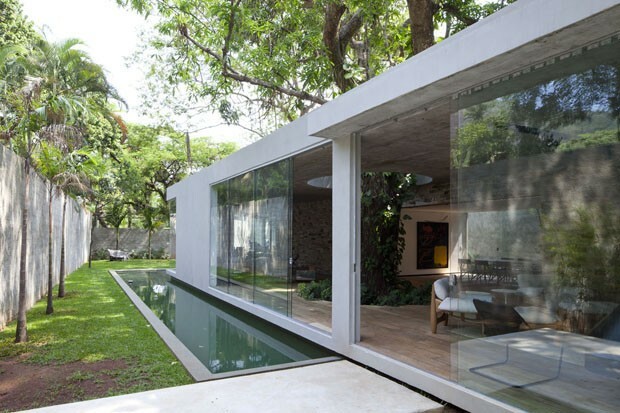 However, the shade from Bethany as well as the glass walls manage to keep the house cool and comfortable even in the hottest weather. 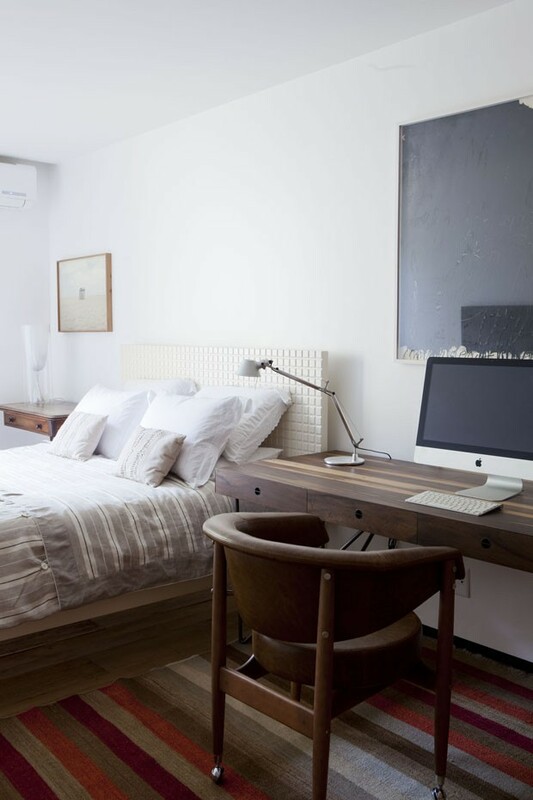 The materials used for this home were also largely dictated by the natural look desired by the homeowner. 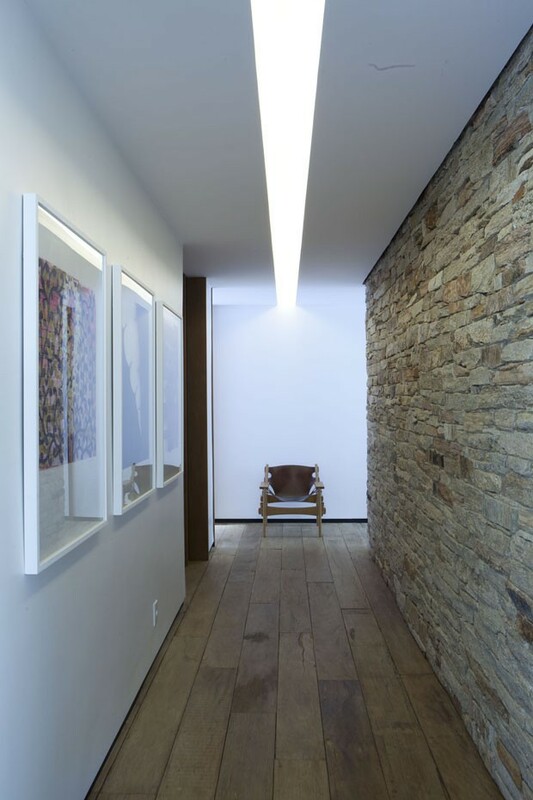 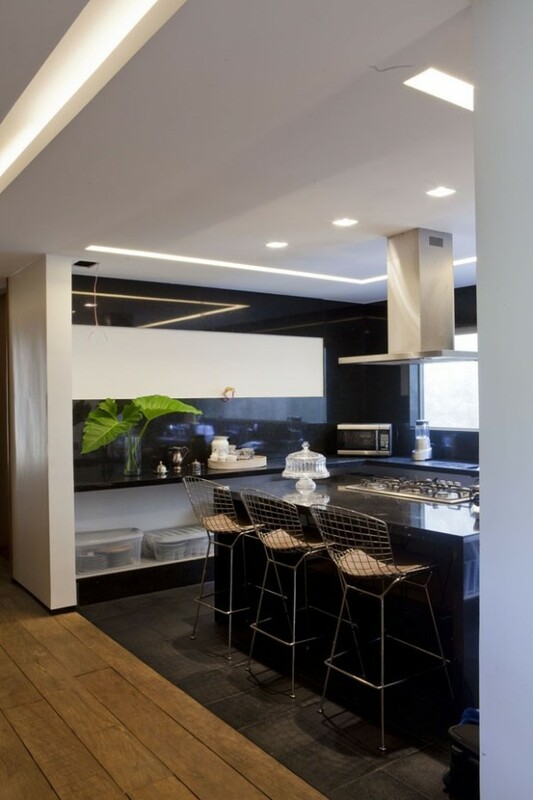 Sartore worked with warm materials such as paroba-do-campo (formally Aspidosperma macrocarpon) and wood stone, both of which exude a warm and familiar feel. 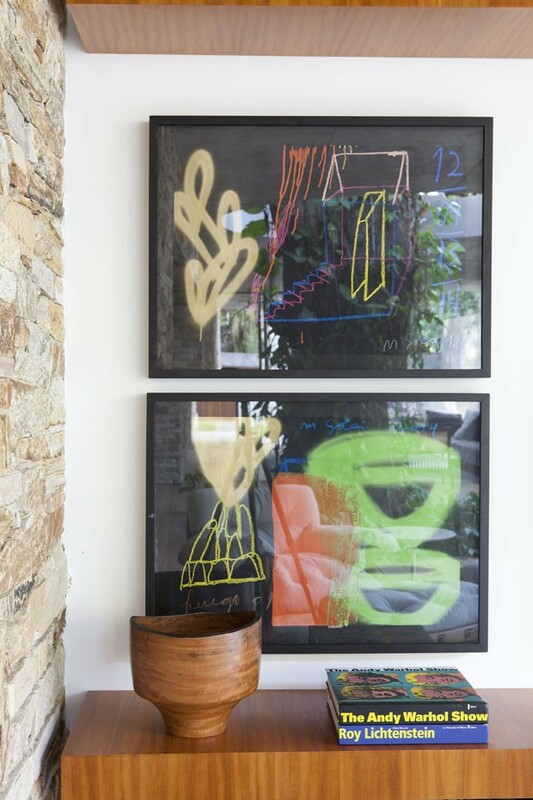 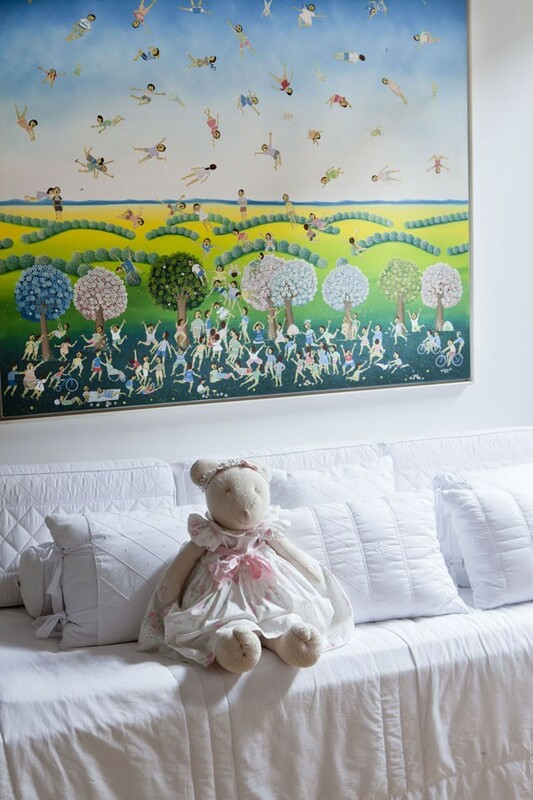 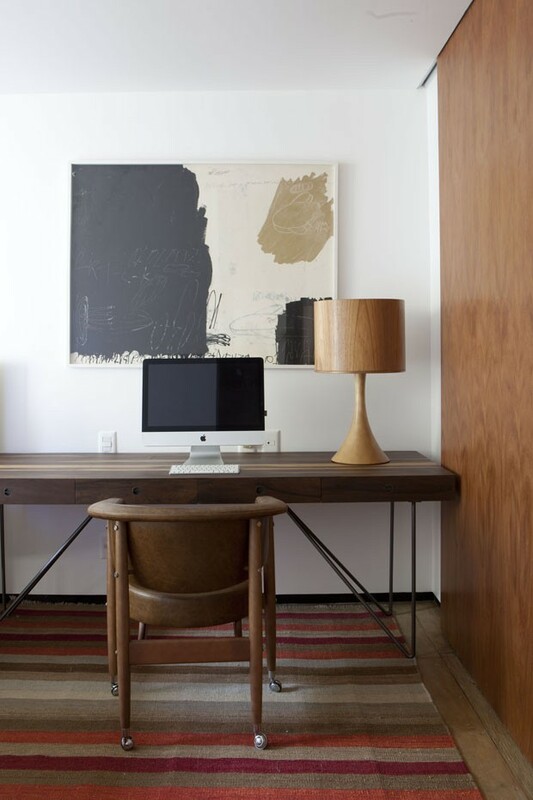 As an art collector, Quadrado also insisted on creating enough wall space for some of his beloved art, including works from Nuno Ramos, Meireles , Beatriz Milhazes , Jorge Guinle , Joaquim Tenreiro and Poteiro.